Do you want to have your site buzzing with discussions? There are quite a few forum plugins for WordPress, the top and most popular amongst them being bbPress. Simple Setup and easy moderation. Spam protection with full Akismet support built in. If that convinces you, jump on in and let us go ahead and set up a bbPress forum for your site. Installation of the plugin is as usual. Login into your WordPress site as admin. From the dashboard, click on Plugins> Add New. Type bbPress in the search box and from the results click on Install Now next to the bbPress plugin. From the WordPress admin dashboard, click on Settings > Forums for the settings of bbPress. Most of the default options work just fine. Unless you have specific needs, you can leave them as is. The forums slug is by default set at your-site-url/forums/. 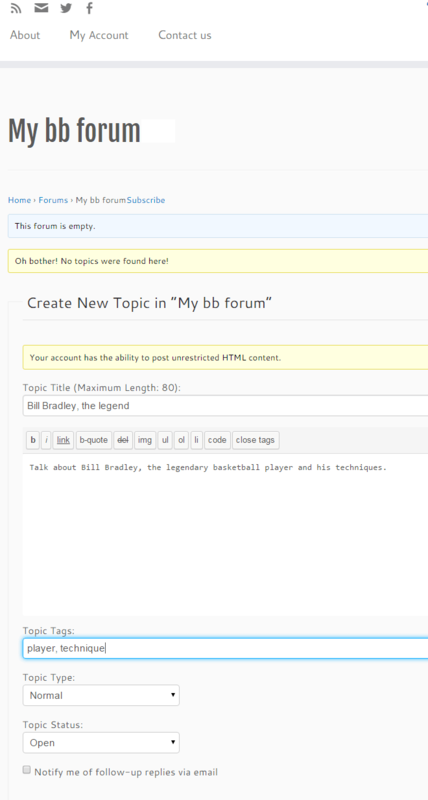 Similarly, the single forum slugs for topics, replies and others are also specified here. Change them if you are particular. 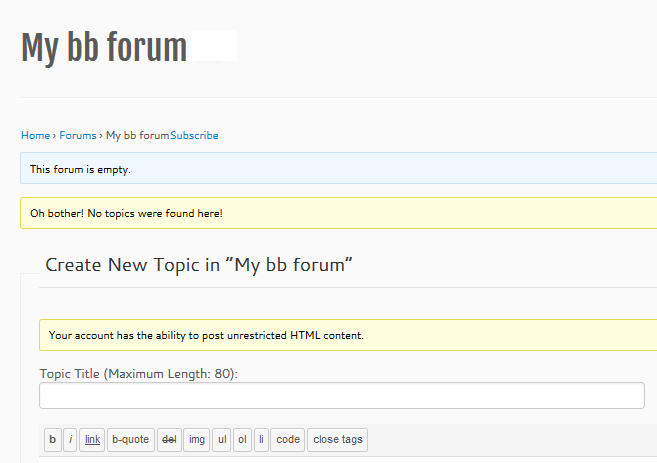 Now that the Forum plugin is installed, look at the forums by clicking on Forums from the admin dashboard. As there are no forums created, you will see a screen similar to the one below. Click on New Forum to create a new forum. You will get a screen similar to the post editor. Give your forum a name and a description at the very minimum. The description can give an overview of what this forum discussions are all about. You can change the status of the forum to Closed in the Forum Attributes metabox on the right side panel, when you do not want further discussions. The Visibility is Public by default. It can be changed to Private or Hidden. Private forums are seen only by chosen users while Hidden forums are hidden from all except the creator. Click on Publish to create the forum. Now that you have created a forum, visit your-site-url/forums/ to check what you have created. You will see your forum empty with no topics. You can also check the status of your forums and topics from the admin dashboard. For instance, the topics under discussion can be seen by clicking on Topics from the admin dashboard. No topics? So, why not create one in the topic editor that appears just below? Create a topic - give a title and a description. Add Topic tags for easy retrieval of discussions by tags in a later stage. Click on Submit. You have successfully created a topic. What is the difference between a forum and a topic? A forum refers to a broad idea and sub ideas of the forum can be discussed as topics. Now that you have opened up a topic, expect some discussions and replies. Go to your-site-url/forums to see a summary of your forum. The title, description, number of topics and number of posts are displayed. The last user to post and the time of last post is also displayed under Freshness. If you have more than one forum, this information can be seen for each of these. Click on your desired forum to see the status of the topics under this forum. For each topic, the title, the starter of the topic, the number of users who commented (Voices), the number of comments (Posts) and the Freshness (as in the case of forums) can be seen on this screen. You can see the thread of discussions for a particular topic by clicking on the topic. You can also reply to any topic using the editor at the bottom of the thread. That's it. Did you expect more steps? Sorry to disappoint you, but creating forums on your site as simple as that. So, what are you waiting for? Go ahead and get your site buzzing with interactions and discussions between your users. It is a sure way to increase the popularity and traffic of your site.